Sooooo me and my good friend Zoe aka The London Lipgloss decided get organised for a change and do a video together. We've been talking about it for months now but we are both too lazy and not motivated enough whenever she stays over (pretty much every week) to get off our bums and actually do one. 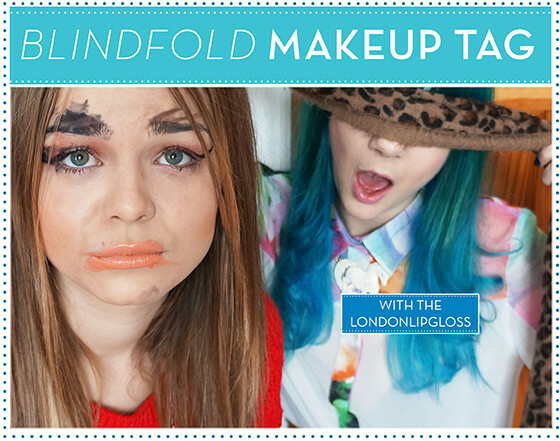 However we've both got the blogging bug recently and even though we didn't film this as early as we planned we managed to get the Blindfolded Makeup Tag video done for both of our channels. I was genuinely so worried for most of this video and you can really see the sheer terror in my eyes for 90% of the video! You can go over and watch me do her makeup on her Channel! Remember to like & Subcribe!